Following the CJEU’s logic, this judgment is justified considering that the Member States of the European Union agreed to remove from the jurisdiction of their own courts, and hence from the system of judicial remedies which the EU Treaty requires them to establish in the fields covered by EU law, disputes which may concern the application or interpretation of EU law. According to the case law of the CJEU, an international agreement cannot affect the allocation of powers fixed by the Treaties or, consequently, the autonomy of the EU legal system, observance of which is ensured by the Court. Article 344 of the TFEU obliges the Member States “not to submit a dispute concerning the interpretation or application of the Treaties to any method of settlement other than those provided for therein” (para. 32). The CJEU recalls that in order to ensure that the specific characteristics and the autonomy of the EU legal order are preserved, the Treaties have established a judicial system intended to ensure consistency and uniformity in the interpretation of EU law. Under Article 19(1) of the Treaty on European Union (“TEU”), the Member States undertook to “provide remedies sufficient to ensure effective legal protection in the fields covered by Union law” (para. 36). The CJEU also recalls that the EU judicial system has as its keystone the preliminary ruling procedure provided for in Article 267 TFEU, which, by setting up a dialogue between the Court of Justice and the courts and tribunals of the Member States, has the object of securing uniform interpretation of EU law, thereby serving to ensure its consistency, its full effect and its autonomy as well as, ultimately, the particular nature of the law established by the Treaties (para. 37). Does the dispute require interpretation or application of EU law? Is the arbitral tribunal a court or tribunal of a Member State within the meaning of Article 267 of the TFEU? Is the arbitral award subject to review by a court of a Member State, ensuring that the questions of EU law can be submitted to the CJEU by means of a reference for a preliminary ruling in accordance with Article 19(1) of the TEU? Considering that the arbitral tribunal deciding a dispute under an intra-EU BIT may be called on to interpret or indeed to apply EU law, e.g. 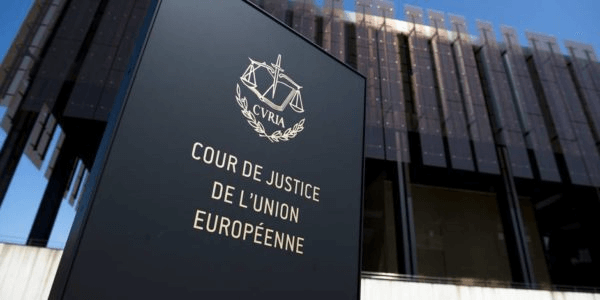 fundamental freedoms, including freedom of establishment and free movement of capital, the Court had to determine if an arbitral tribunal is a court or tribunal of a Member State within the meaning of Article 267 of the TFEU concerning references for a preliminary ruling. The CJEU found that “the arbitral tribunal is not part of the judicial system of the Netherlands or Slovakia” and that “it is precisely the exceptional nature of the tribunal’s jurisdiction compared with that of the courts of those two Member States that is one of the principal reasons for the existence of Article 8 of the BIT” (paras. 45-46). The CJEU is of the opinion that the arbitral tribunal does not have sufficient links with the judicial system of the Member States as it has no mission to ensure that the legal rules are applied uniformly. Therefore, an arbitral tribunal is not entitled to make a reference to the CJEU for a preliminary ruling (paras. 48-49). Regarding the third criteria, the CJEU found that the requirement of Article 19(1), i.e. to establish systems of judicial remedies in the fields covered by EU law, was not fulfilled. This is because judicial review can be exercised by State courts only to the extent that national law permits, i.e. only for limited review, concerning the validity of the arbitration agreement under the applicable law and the consistency with public policy of the recognition or enforcement of the arbitral award (para. 53). The CJEU tries to instantiate this point using its Eco Swiss judgement in which it found that it is in the interest of efficient arbitration proceedings that review of arbitration awards should be limited in scope and that annulment of or refusal to recognise an award should be possible only in exceptional circumstances (para. 35). It also found that questions concerning the interpretation of the EU competition rules should be open to examination by national courts when asked to determine the validity of an arbitration award and that it should be possible for those questions to be referred, if necessary, to the Court of Justice for a preliminary ruling (para. 40). In the Achmea case the CJEU considers that the Eco Swiss approach cannot be applied to investment arbitration because of the difference the CJEU sees between commercial and investment arbitration. According to it commercial arbitration originates “in the freely expressed wishes of the parties”, while investment arbitration derives “from a treaty by which Member States agree to remove from the jurisdiction of their own courts, and hence from the system of judicial remedies which the second subparagraph of Article 19(1) TEU requires them to establish in the fields covered by EU law” (para. 55). The reasoning of the CJEU is not very clear. The differentiation between commercial and investment arbitration is problematic considering that for commercial arbitration, it is also the Member States and the international conventions they are party to that remove the interpretation and application of EU law from the jurisdiction of their courts to arbitral tribunals and leave only a very limited control. It may be that the CJEU saw the difference in allowing individuals to solve their dispute in the way they see appropriate and allowing the State itself to be part to arbitration proceedings and be bound by awards that were removed “from the system of judicial remedies”. In other words, the Member State should be bound by a higher standard when providing judicial remedies for a decision concerning the State’s liability where the interpretation and application of European law is required. Leaving aside the distinction, it is not clear why the agreements to arbitration with countries outside of the European Union should be treated differently. For example, an arbitral tribunal constituted under the BIT between Romania and China could potentially be required to interpret and apply EU law and the same judicial remedies will apply as for intra-EU BIT arbitrations. The CJEU does not explain how this double standard is justified. As summarised by the CJEU’s press release, in 1991 the former Czechoslovakia and the Netherlands concluded an agreement on the encouragement and protection of investments (BIT). The intra-EU BIT provides that disputes between one Contracting State and an investor from the other Contracting State must be settled amicably or, in default, before an arbitral tribunal (there are 196 BIT’s currently in force between the Member States of the EU). In 2004, Slovakia opened its health insurance market to private investors. Achmea, an undertaking belonging to a Netherlands insurance group, set up a subsidiary in Slovakia with a view to offering private health insurance services there. However, in 2006 Slovakia partly reversed the liberalisation of its sickness insurance market, and prohibited in particular the distribution of profits generated by health insurance activities. In 2008, Achmea brought arbitration proceedings against Slovakia under the BIT, on the grounds that the prohibition was contrary to the agreement and had caused it financial damage. In 2012, the arbitral tribunal found that Slovakia had indeed infringed the BIT, and ordered it to pay Achmea damages in the amount of approximately €22.1 million. Slovakia then brought an action before the German courts for the arbitral tribunal’s award to be set aside. Slovakia took the view that the arbitration clause in the BIT was contrary to several provisions of the FEU Treaty. The Bundesgerichtshof (Federal Court of Justice, Germany), hearing the case on appeal, asked the Court of Justice whether the arbitration clause contested by Slovakia is compatible with the FEU Treaty. The CJEU ruled directly against the Opinion of the Advocate General Wathelet who concluded that “Articles 18, 267 and 344 TFEU must be interpreted as not precluding the application of an investor/State dispute settlement mechanism established by means of a bilateral investment agreement concluded before the accession of one of the Contracting States to the European Union” (para. 273). Advocate General Wathelet was of the opinion that the characteristics of arbitral tribunals constituted in accordance with the BIT are similar to the ones in commercial arbitration. In particular, they allow ordinary courts and tribunals of Member States to ensure compliance with EU law principles and the objective of uniform interpretation of EU law and compliance with the European public policy rules (paras. 244-245). Advocate General Wathelet also pointed out that in international commercial arbitration there is also a risk of having awards incompatible with EU law and also with the principle of mutual trust. In spite of those risks, the CJEU has never disputed its validity. Arbitration of questions of EU competition law between individuals is not unknown. According to Wathelet “If international arbitration between individuals therefore does not undermine the allocation of powers fixed by the EU and FEU Treaties and, accordingly, the autonomy of the EU legal system, even where the State is a party to the arbitral proceedings, (203) I think that the same must apply in the case of international arbitration between investors and States, all the more so because the inevitable presence of the State implies greater transparency (204) and the possibility remains that the State will be required to fulfil its obligations under EU law by means of an action for failure to fulfil obligations on the basis of Articles 258 and 259 TFEU” (para. 259). In conclusion, the CJEU was unfortunately not very clear in its Achmea judgement by trying to make a distinction between commercial and investment arbitration and leaving many questions about the impact of Achmea judgement on the Energy Charter Treaty and more generally extra-EU investment arbitrations open.